New York is the basketball capital of America. It is impossible to imagine the game without the many great coaches the state and especially, the New York City area, have produced: Nat Holman, Joe Lapchick, Frank McGuire, Red Holtzman, Lou Carnesecca, Billy Cunningham and Jim Boeheim to name only a few. All are members of the New York State Basketball Hall of Fame. 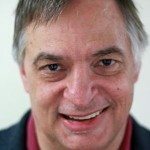 To that list, we can add Roslyn High School’s own Joe Lettera who was inducted into that same Hall of Fame last March 16 in a ceremony at the Glen Falls Civic Center. 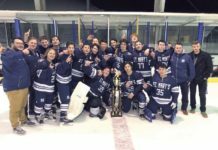 The day gave Lettera time to reflect not only on his coaching career, but also on his long association with the Roslyn area. Lettera coached the Bulldogs from 1958 to 1989, winning 405 games, while losing 210, for an impressive .668 winning percentage. In addition to his talk, Lettera shared some memories of his time in Roslyn with The Roslyn News. Lettera’s Hall of Fame speech was as equally eloquent. “A special thank you to Dave Archer and the Basketball Coaches Association of New York for admitting me into the Hall of Fame and arranging this classic ceremony,” he said in his opening remarks. “Thank you to Roslyn Public Schools for unlimited opportunities. Thank you to fellow administrators, teachers and coaches. Thank you to my secretaries and male and female students who maintained contact with me and became friends. “Appreciation to family, players, friends, associations and opposing coaches who sent a personal message for the Induction Ceremony program. Your words will be a tangible part of this wonderful memory for me. “Most of all, thank you to every boy who played on my teams and were devoted to team play and gave full effort at every practice and game. I was fortunate to have players with talent, high intelligence and who were resourceful. Their success as adults was predictable. They have achieved as doctors, lawyers, and businessmen, as authors, as a movie director and in coaching. ‘Good citizen’ is a label for all of them. I realized early that Roslyn was unique and I stayed for 32 years. It was my privilege to coach such boys. 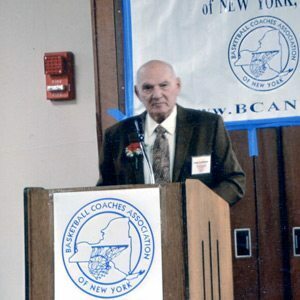 Along with Lettera, other coaches that were inducted include: Bill Aberer, La Salle Academy; Stan Cohen, SUNY Canton, Potsdam State; John Costello, Hastings High School; Bob Giordano, Beaver River High School; Doug Kenyon, New York State Boys Basketball Tournament director; Ben Nelson, Basketball Coaches Association of New York; John Skvorak, Weedsport High School and Robert Williams, Jefferson Community College. 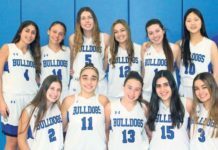 Lettera’s many honors include being named 1973 Nassau County Coach of the Year, a two-time president of the Nassau County Basketball Coaches Association and a two-time Sportsmanship Award winner from the Long Island Basketball Officials. In 30 years of coaching, Lettera had 28 winning seasons. 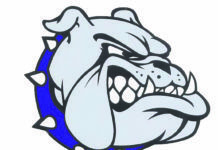 His Bulldogs won seven division titles and twice made it to the Nassau County finals in their division.